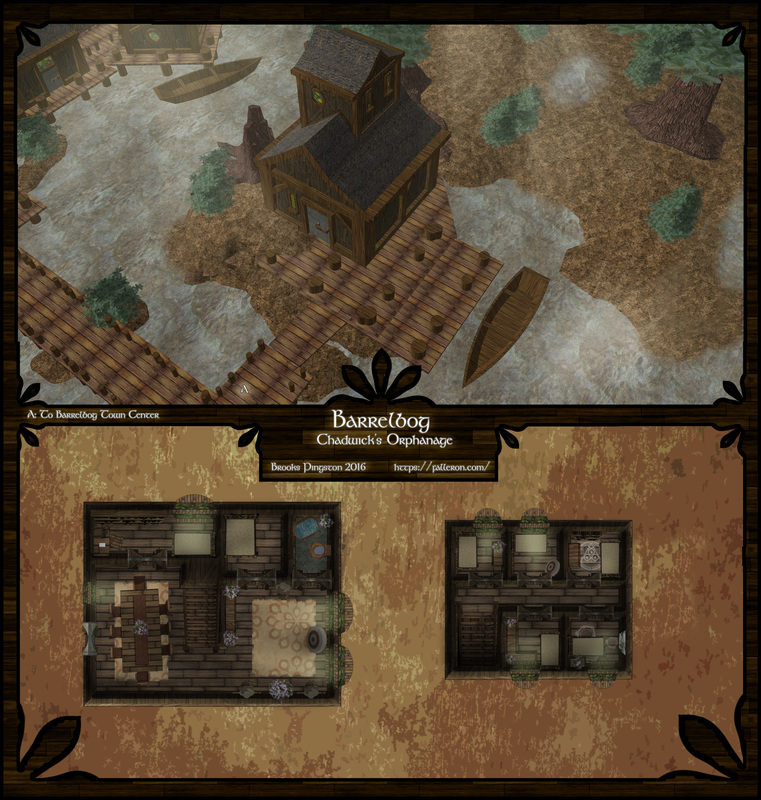 Below is one convenient collection of maps from Barrelbog, a once-sleepy barrel-producing town that saw a little too much action. 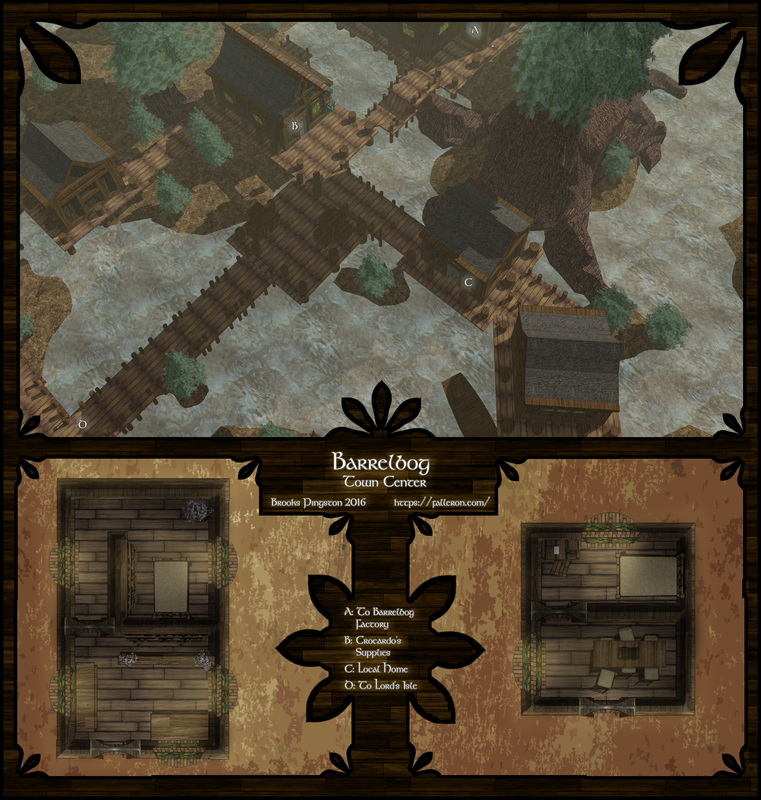 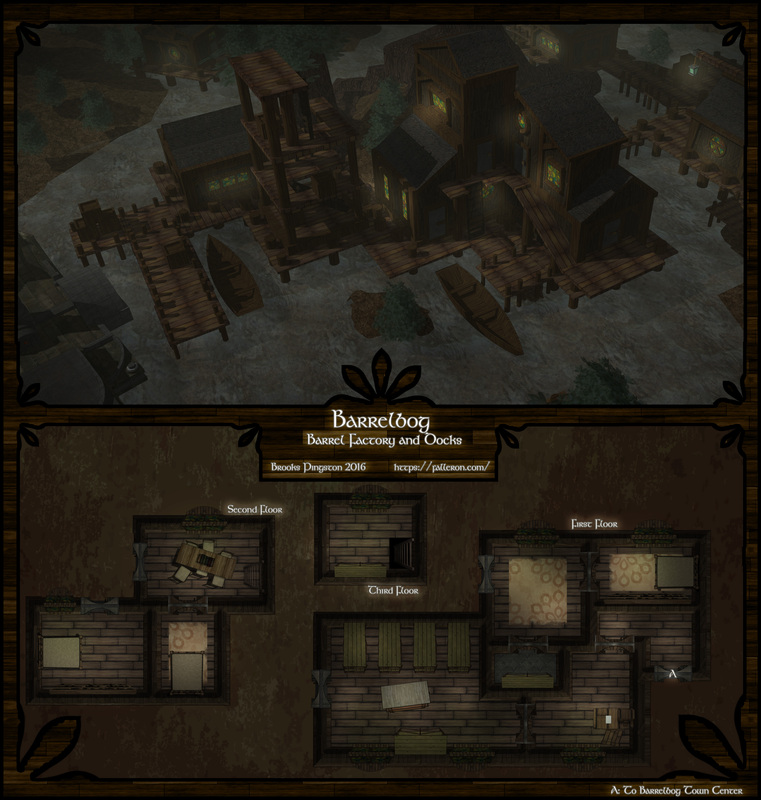 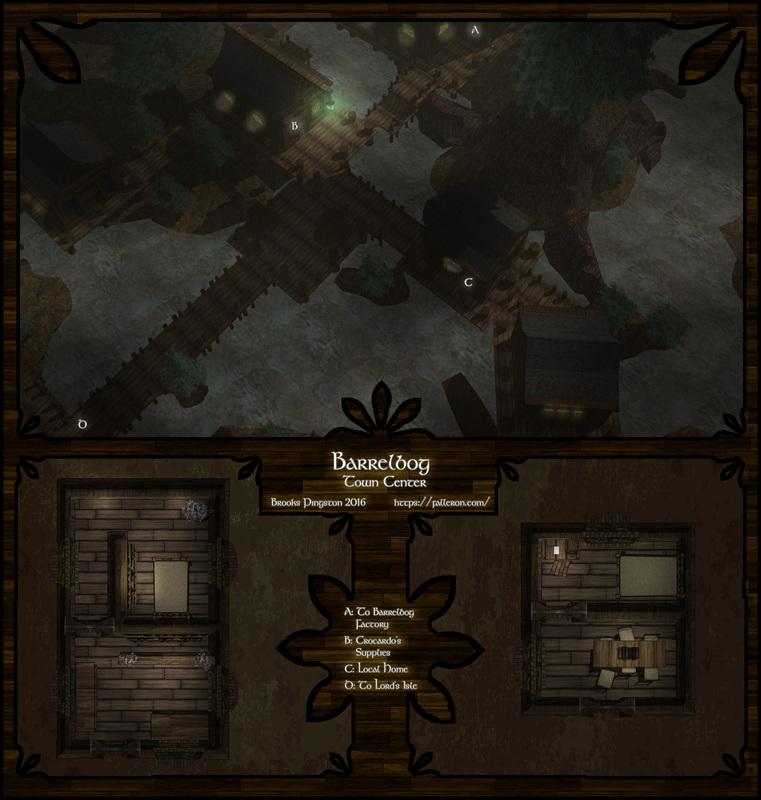 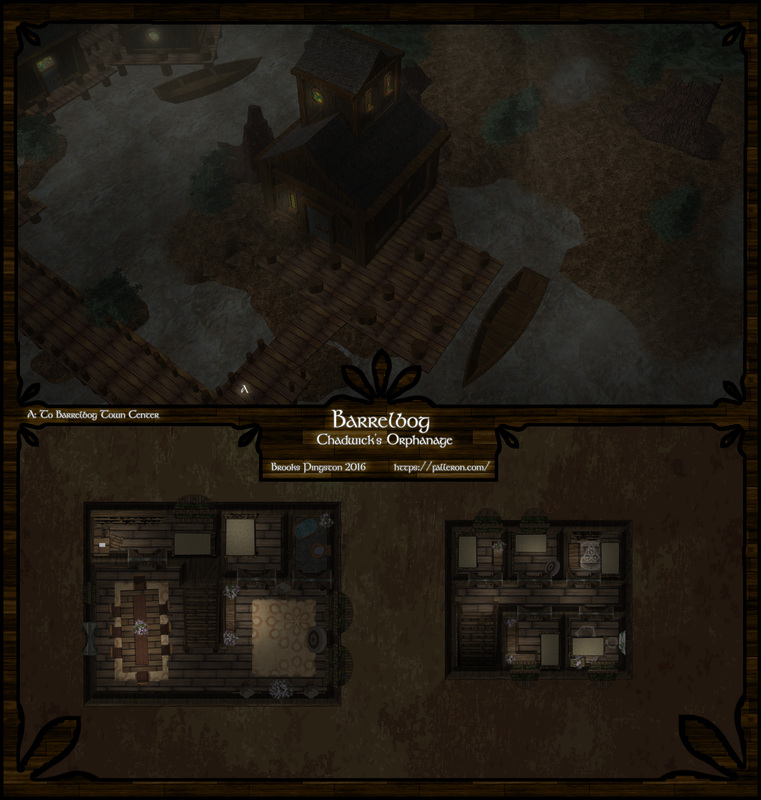 Explore the town itself, the nearby barrel factory, get lost in the swamp outside of the town, and come visit the orphanage! 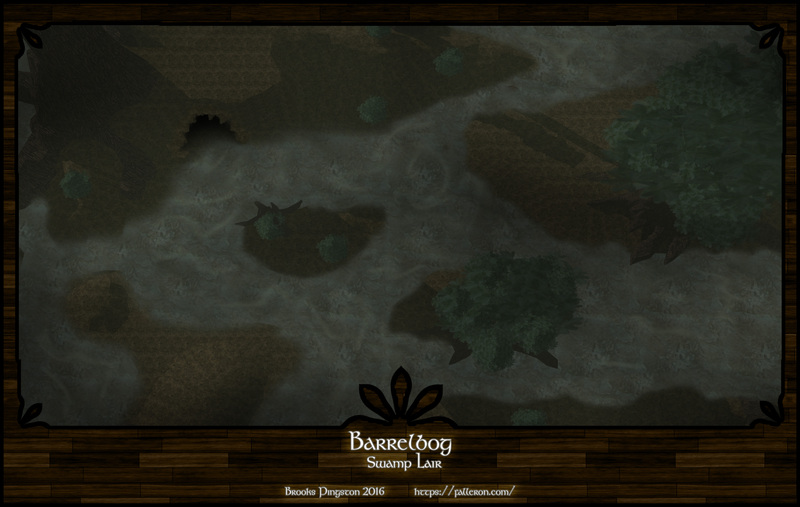 And whatever you do, try not to be captured and dragged to the hillfort nearby. 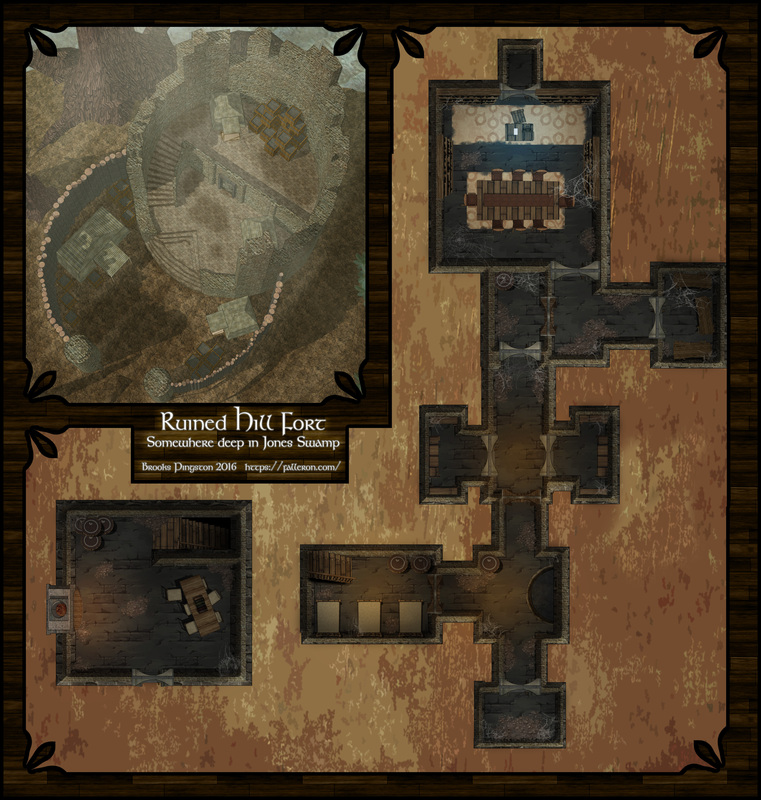 For inspiration for how to use maps like this, the Crown of the Heartlands campaign began in the Orphanage. 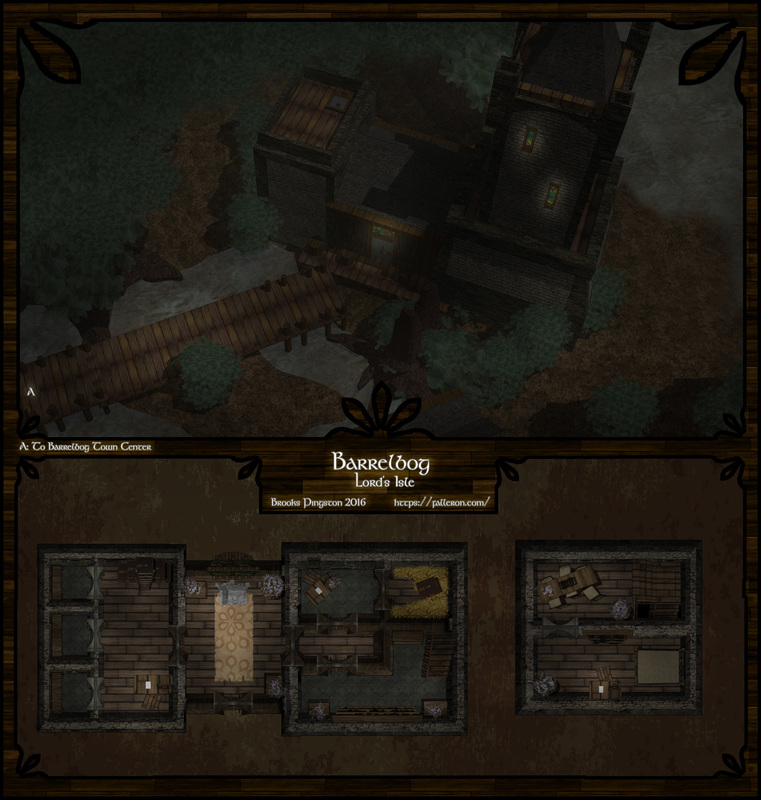 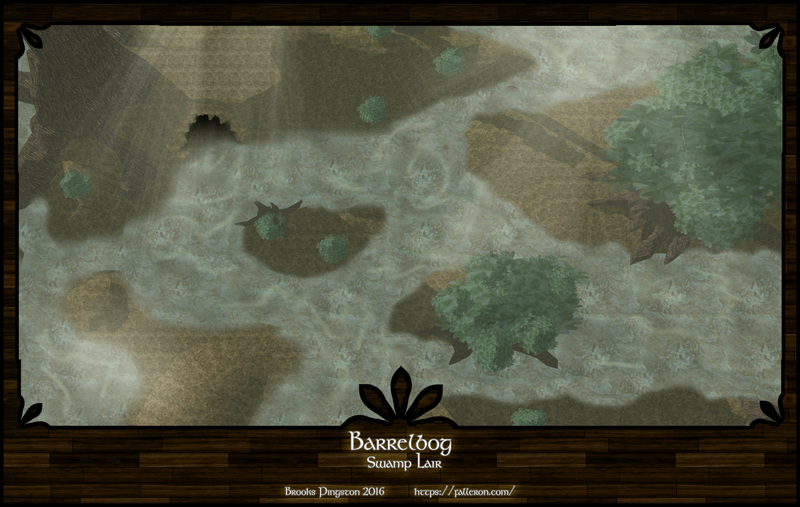 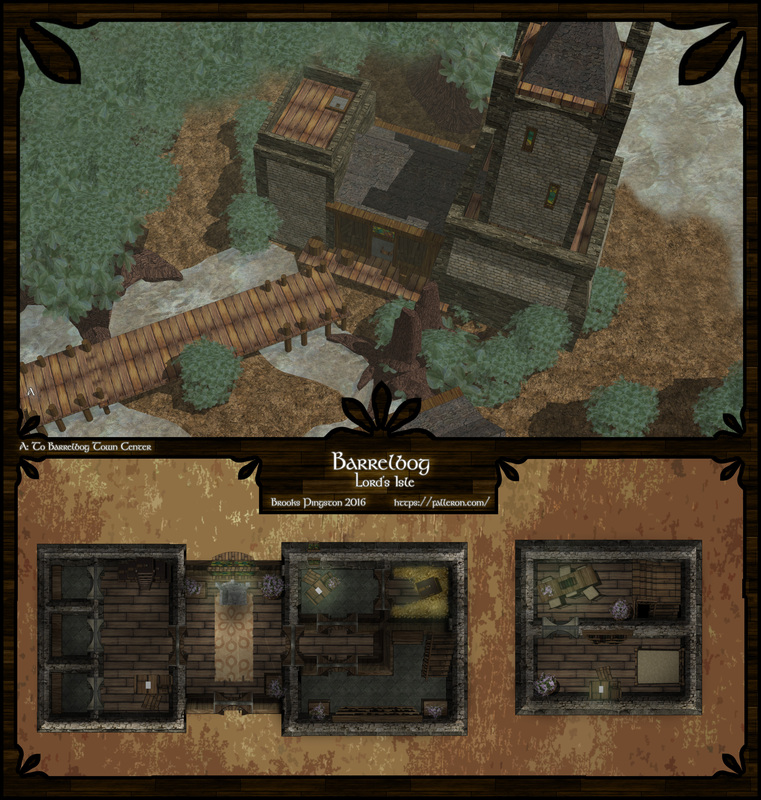 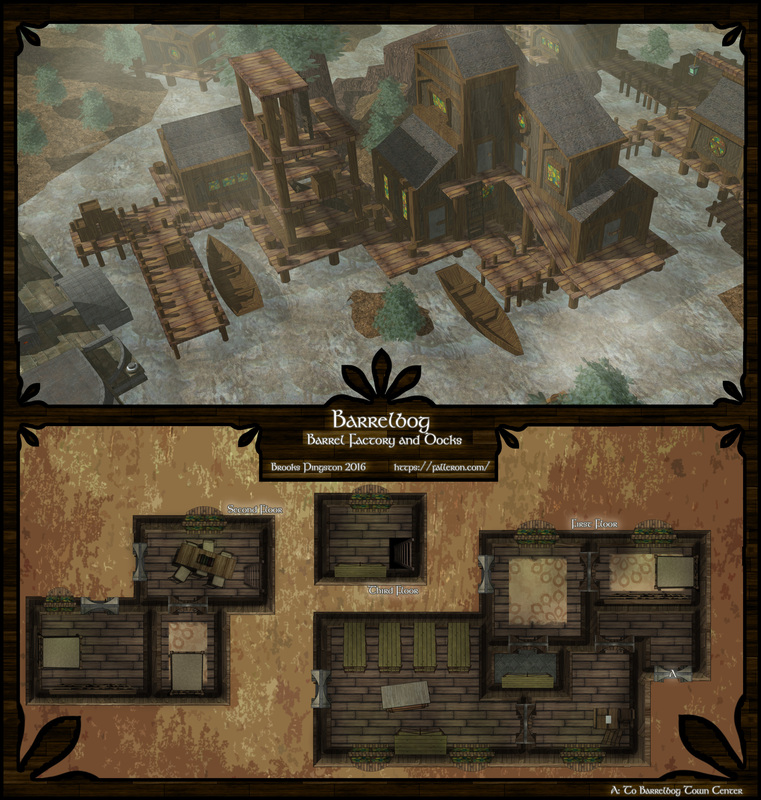 Click here to download all of barrelbog!